As we prepare for and enjoy the holiday season and you think about the wonderful vacation days you’re going to enjoy during this time of year, it may be time to have a wonderful new way to handle your holiday travels. IF you’re tired of visiting your family during this time of year the right choice for you may be a new Airstream RV that you can drive from your home in Illinois to enjoy the fun and activity you want for the time you will spend with your family. There are two different RV models that are offered for you to have the ride you want and the location where you’ll be able to spend your nights and relax while you visit your family over the holidays. Come in and see the team at Ewald Airstream in Franklin, WI and take a look the two Airstream RV models that can be right for you to take from Illinois to your destination. These two RVs are the Interstate Lounge EXT and the Interstate Grand Tour EXT to make sure you can have the ride you want and a place that will be your home away from home. 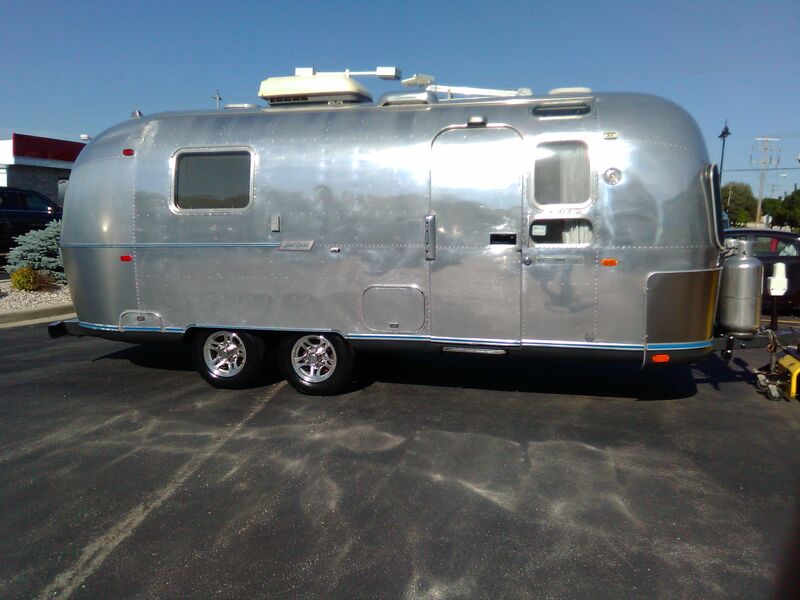 Why would you want to purchase an Airstream RV for your travels? One of these two models will not only serve as the vehicle you use to travel on the roads but to be the place where you sleep during your nights while you visit. Not only will you have a comfortable home away from your Illinois home, but you won’t displace any of your family or have to find a hotel to spend your time. This can be the most considerate way for you to travel with the benefactor being yourself. These two Airstream RV models make it possible for you to have a wonderful ride and the quality comfort you desire when you travel. Not only will you want to enjoy the ride in your new RV as you head out from Illinois to see your family for the holidays, but you will also have a travel vehicle that allows you to see what you can when it’s time for a wonderful road trip around the country. The RV you choose has two purposes for you to be able to have the comfort you need and the freedom you’ve been after. The team at Ewald Airstream in Franklin, WI will help you find the right Airstream RV that can be right for you to have the drive and the comfort you want when you leave Illinois to visit with your family during the holidays. Come in and take a look at the different models that can be right for you to have the experience you’re looking for. There are several different configurations you can enjoy with either of these two RV models to offer you the comfort and the quality you’re looking for on the road.